CBSE class 12 Math exam: A six-marks question from differential left students confused. In other sets, students were asked to find the area around x-axis in both Hindi and English. Overall mathematics exam was lengthy but easy. A six marks question in the Central Board of Secondary Education (CBSE) class 12 exam has left students confused. Question number 26 in set 2 asked students to find the area ‘about’ the x-axis in English while in the same set the Hindi translation asked students to find the area ‘around’ X-axis. Among all sections, the calculus part was the most difficult as it contains some tricky questions. “Students who got set-1 found difficulty in answering the question number 24 — using the integration find the area of the greater rectangle (6 marks), and question number 16 which asked to differentiate tan inverse,” the teacher said. The average students can expect marks between 60 to 70. CBSE maintained that “There is a mechanism to take care of such issues before finalising the making scheme so that students are not out to any disadvantage.” Overall, students found the class 12 Mathematics exam to be lengthy but easy. 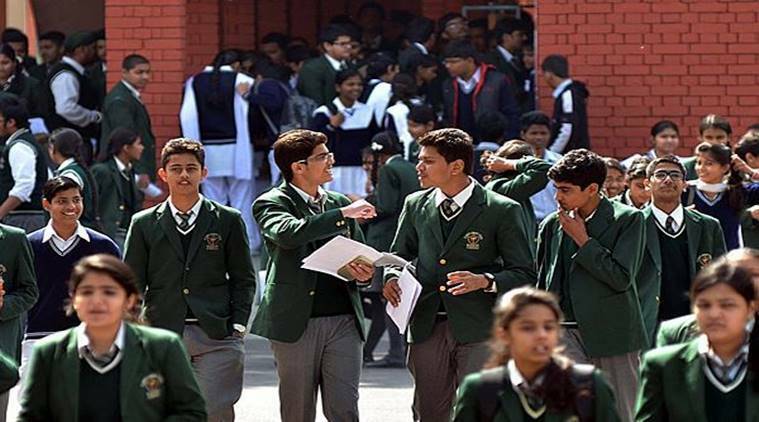 CBSE in an official circular released last week has already said, in case of such anomalies, students or schools can send their queries and then a committee will be set-up. Earlier, in English and Accountancy exam, errors were found in the question paper. In the English exam, students were to be given choice between two novels but questions from both were asked. In class 12 accountancy exam, in set 3, question number 13 erroneously states revaluation account as realisation account. Another error pointed out by teachers and students alike was a missing entry in Hindi translations while the same was there in English questions. Talking to indianexpress.com, a CBSE spokesperson had said, “If a student or a school authority feels there is an error in any exam they can raise queries within 24 hours. Board is accepting complaints via email or letters to the board. After which an expert panel will consider all grievances.” If a complaint is accepted by the expert panel, a corrective measure is undertaken which might also include ‘grace marks’.